Next Friday, March 30, we will have three identical 30 minute Good Friday services at 7:15 AM, 12:15 PM, 5:15 PM. These will be in the Chapel and we are looking forward to gathering with you on this special day. On Easter Sunday we will have two services, one at 9:00 AM and one at 11:00 AM. 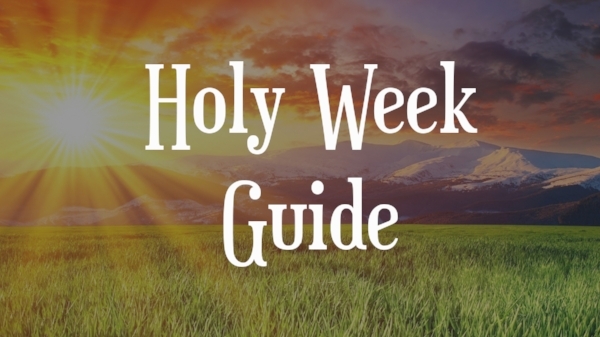 For those who would like to prepare ahead of time, we will be publishing a Holy Week Guide. This is a daily devotional from Palm Sunday (this coming Sunday) through Easter Sunday.